Comment: Replace existing sidewalk and add to rear patio. Comment: remove a walkway which is cement and remove bricks on both sides of a small court yard which is also the entry to the front of our house. Need someone who would know about drainage since this area is surrounded by the house on one side and the garage on the other. McHenry Concrete Contractors are rated 4.77 out of 5 based on 837 reviews of 45 pros. 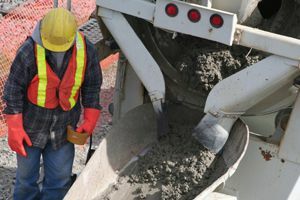 Not Looking for Concrete Contractors in McHenry, IL?